A few days ago I realized that it was possible to do double exposures with the polaroid image system (a spectra-camera, basically), or I have been aware of it for quite some time - but I always thought it would be difficult and that it would require some kind of modification of the camera. It turns out that isn't the case at all, and it's actually rather easy to do it. This is the first one I did yesterday. Not too fond of how the image itself turned out, but double exposures are always fun. I should experiment some more. great, lights make a good effect in this composition! Really good photo. 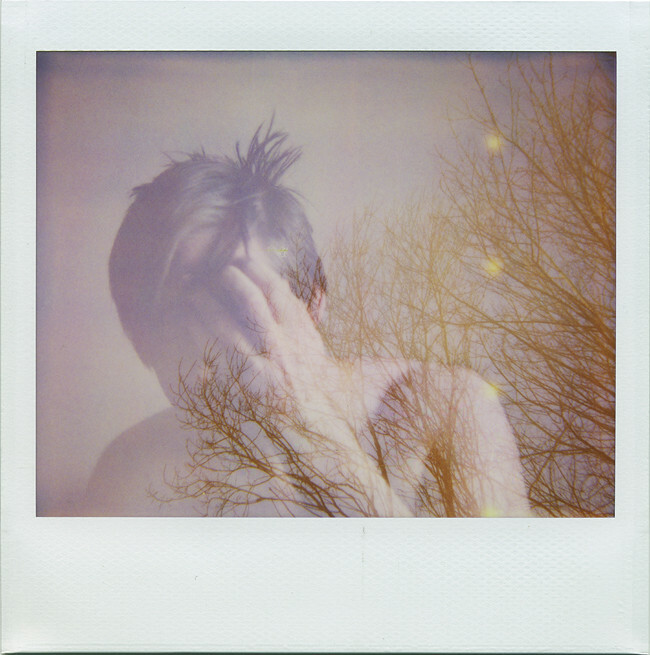 I love double exposure but have never tried with a Polaroid. I wish I had one. That photo turned out so well! I also realized that my digital camera did double-exposure and it's been really fun playing around with it. du har en helt galet fin blogg. vilka bilder! Oh, Annette! You must must try your hand at more double exposures with this system! I wish I can do that with my camera. This is really beautiful! In these latter days the nicest I've seen from you. Your polaroids pictures are great. Good luck Annette! just another reason why polaroid is amazing! I am just about to try double exposure on 600 film. I'm not sure if it's going to work out but trying is also fun. åh, jag har en spectra och en gång gjorde jag en dubbelexponering av misstag. men jag vet inte hur jag ska göra en med flit. hur gör du? jag älskar dubbelexponerade polaroider! kram. michela: älskar också dubbelexponerande polaroider, blev så glad när jag upptäckte hur lätt det var. nedan är en beskrivning på hur du kan göra det med flit! kram! 1. make sure you've set your camera to "darken". 2. for the first exposure, turn on the self-timer and wait for it to take the picture. (the picture won't eject, but I guess you knew this already). 3. turn the camera off by folding the camera together, and this needs to be done BEFORE you switch off the self-timer again. this way the camera will basically forget about the picture you just took. 4. turn the self-timer switch back to normal and then open the camera again. 5. take the second exposure as usual (still with the camera being set to "darken"), it will eject as usual and now you will have a double exposed polaroid! I just wanted to say that I really love your work here. I have been reading your blog for some time, yet have never commented, so I thought I would just say that I think this is really beautiful, especially for a first attempt. grey_bird & little ruins: thank you both so so much, that's so kind of you to say! sun: det gör jag, måste vara ett av mina favoritband genom tiderna. check out these double exposure.